Find new loves and old favorites from our library. 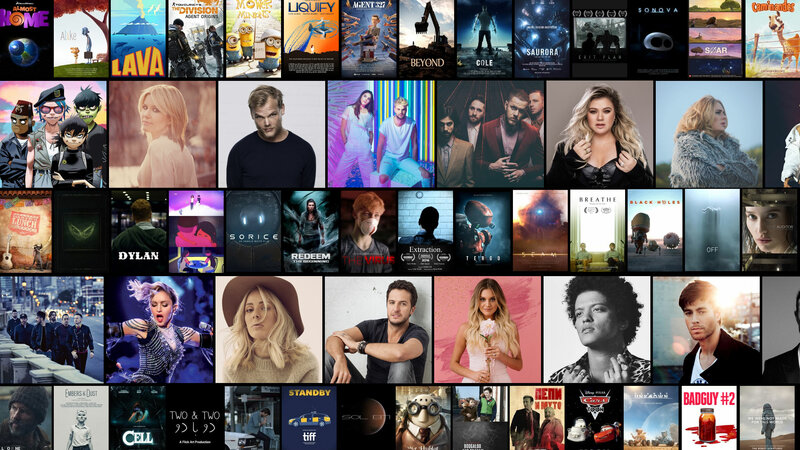 Discover the perfect playlist or make your own, and browse curated collections by genre. Listen everything from your browser. 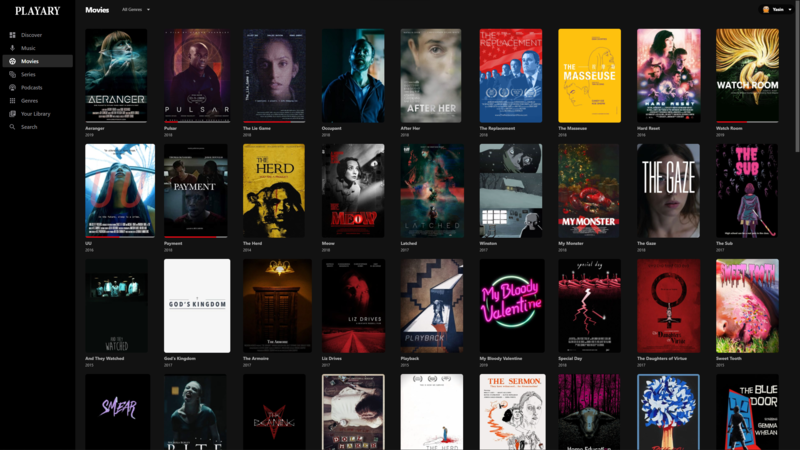 Find short and indie films from our library. Discover perfect films and tv shows. Watch everything from your browser. Share your songs with your audience. Connect with your audience and view your stats. Playary is music and movie application. It combines two entertainment system to one. Which platforms does Playary support? Playary only supports web browsers right now. We are working on to bring Playary to other platforms. Playary, is an application which everybody can use. You can start listening to music or watching movies and series right now. Even you don't need to register. Is Playary a paid service? No, Playary is free ofcharge service right now. But we will add paid membership soon. Do I need to sign up to access Playary? No, you can access Playary Movie and Playary Music application without an account however for better Playary experience we recommend that you signup. How can I contact with Playary? Can I use Playary on multiple platforms with same membership. Yes you can use Playary on multiple platforms with same membership and same time. Which languages does Playary support? Playary only supports English right now but we will add other languages to Playary soon. Playary Music is music streaming application. What are the things that I can do with Playary Music Application? Yes, you can create your own playlist. Can I save my favorite artists, releases and songs? Yes, you can save your favorite artists, releases and songs in Playary Music. Can the other users see my customized playlists in Playary Music? You may share the playlist you prepare with all Playary users. You have to login to Playary application and create your profile and set your playlist as public in order to enable all Playary users see your playlists. Can I search song in Playary Music? Yes you can. 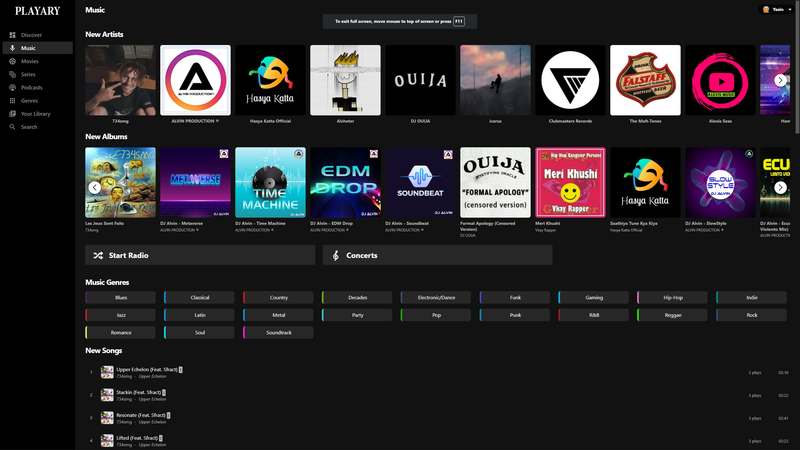 Enter anything you want to find, including artists, albums, songs and playlists. Can I watch video clips? Yes you can. Some songs has video clips and you can watch those video clips. Playary Movie is movie streaming application. What are the things that I can do with Playary Movie Application? Is Playary movie application has children section? Yes, Playary Movies has child section. Your children can watch movies for his/her age. Yes you can but you need create an account to save movies to your library Once you create your account you can save movies to your list. Does Playary Movie saves play progress? Yes, Playary automatically saves your play progress when you logged in. When you return to watch the movie later, you can continue where you left off. Can I watch movies in Playary Movie? Yes, you can watch movies in Playary. Can I watch series in Playary Movie? Yes, you can watch series in Playary. Does Playary Movie publish full length movies? We are publishing short movies and Creative Commons movies right now? Playary Movie is podcast storage and streaming platform. What are the things that I can do with Playary Podcast Application? Yes, publishing podcast on Playary is free. You wont be charged any money. Yes, you can listen unlimited podcast for free. Can I publish my podcasts stored another host. Yes, you can publish your podcast stored another host. Just get the RSS feed url of your podcast and we will do the rest. When I upload new episode to another host do I need to the anything? No, jsut upload your new episode to your host. We will update your podcast everyday to make sure it is updated.